The preferred wine route through the region usually begins in the mountains near Paleisheuwel in the south, and continues northwards through Klawer, Vredendal, Lutzville and Doringbaai to Lambertsbaai. The route is well marked and easy to follow and most wineries have wine tasting facilities. Crowds are for New Year, not wine tasting. On the West Coast Wine Route, expect an intimate and fulfilling experience like no other - from charming, family-run farms in unique locations, to some of South Africa’s most famous mega-wineries. Quality is a hallmark of the wine, a fact increasingly being recognised by expert assessments, both locally and overseas. West Coast wines regularly feature as medal winners, enjoying consistent high-level ratings in authoritative publications. On the wine route you’ll be able to appreciate just where these champion wines are made and even purchase most of them right at the cellar door. We bring you a vintage from the Olifants River Valley as a unique and exclusive handmade wine with no help from modern equipment. The grapes are handpicked close to the Atlantic ocean on the West Coast of South Africa. Seal Breeze Wines are nestled on the banks of the Olifants River near Lutzville, where it flows into the diamond rich ocean of the South African West Coast. Only three tons per cultivator are organically grown. All wines are matured in French and American oak barrels. Fryer’s Cove tastings (cellar at the sea) & Jetty restaurant (community driven, beautiful views, jump of the jetty, fishing of the jetty) - Doringbaai. Rooibos infused sweet wine (African Ruby). The ever so popular Michelle sparkling wine. Every year they host the ‘Klawer Kole’ (Braai for Heritage day), a braai competition with big prizes to be won and fun for the whole family. This year the event will take place on 24 September. It is a day of celebration not only for the teams participating in our braai competition; all the members of the community and other braai lovers that want to join in the festivities, are welcome. Whilst travelling from Cape Town to Klawer, the visitor experiences the breathtaking beauty and diversity of the Olifants River Valley. It is a landscape that varies from citrus orchards and unspoilt fynbos in the south to the spring flower splendour of the otherwise semi-arid Namaqualand region in the north. 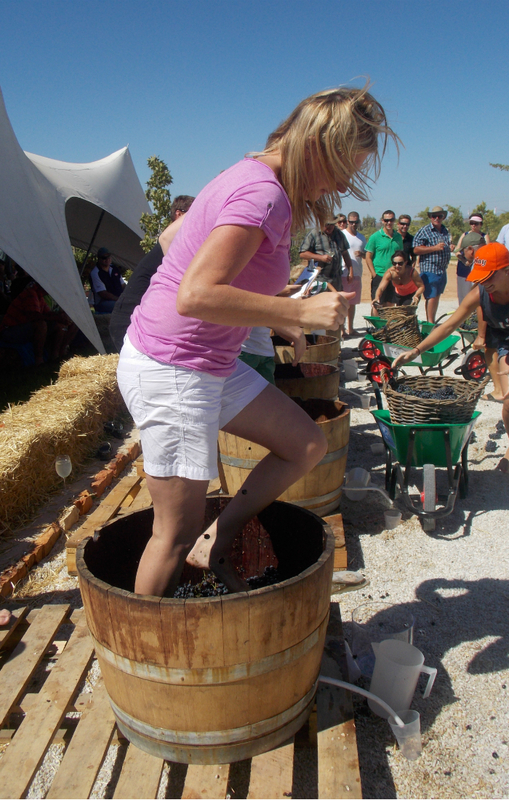 It is here, situated between the towns of Clanwilliam and Vredendal, approximately three hours drive from Cape Town, that the smaller Klawer farming community is nestled and where wine making has become a tradition. Klawer Wine Cellars, winner of numerous awards, proudly offers an outstanding selection of quality wines, which includes a wide variety of white and red wines, dessert wines, sparkling wines, grape juice and also different styles of prepared cultivars. The main aim of the cellar and its innovative and enthusiastic wine makers is to continue producing top quality wines. Local products like olive oils, biltong, rusks etc. Three generations of wine farming; grandfather and soil pioneer Sybrand Teubes has handed over the family operation to his son, Johan Teubes, and his grandson Sybrand Teubes on the farm where the cellar is located, Houmoed. The Teubes family has been making quality wines close to the Atlantic ocean in the Western Cape of South Africa for half a century. The cool afternoon breeze, an abundance of sunshine and perfect terroir contribute to this premium quality wine. At Cape Rock Wines we strive to return to the way our forefathers made wine. We do everything by hand using our own sensibly farmed grapes from low yielding. Mediterranean varieties to make wines that reflect the area as we see it without any unnecessary additions or the application of modern winemaking techniques. We mostly use our own grapes and add as little chemicals and sulphur as possible in the cellar. Stay over at the guesthouse and receive their flagship sweet wine as a gift (the only way to get hold of this sweet wine is to stay over). What started as an experiment in 2001 has turned into a hobby and a passion for winemaker Anton Rossouw. Our exclusive wine is made on a small scale and is available from our guesthouse, Voorsorg for the enjoyment of our guests. Wines vary according to vintage but the flagship remains our Rosslo Jerepiko, which is an old favourite. Winetasting venue situated on the golf course. Cheese & roosterkoek platters! Lutzville Vineyards, origin of the splendid Lutzville and Cape Diamond Wines, is situated a mere three and a half hours drive from the cosmopolitan city of Cape Town. It nestles on the bank of the magnificent Olifants River where the waters flow towards the diamond rich western coast of South Africa. The distinctive location of Lutzville Vineyards combined with cool misty sea breezes and large temperature differences between day and night is the perfect ingredient for the superior aromas and flavours you experience in every bottle of our wine. Venture off the beaten track and discover the new destination in wine, Lutzville Vineyards! Enjoy Bellpost wines along with all things craft at family owned Thi Art Restaurant. Bellpost Cellar is situated between Vredendal and Lutzville on the R362. Bellpost is a wine farm on the West Coast of South Africa. The main function is growing grapes for bigger cellars. A small portion of the total production is being selected to produce wine under the Bellpost label. The vineyards, cellar and wine business are run by the Thiart family. Father Lollies and brother Nico are responsible for the vineyards, brother Koos for the winemaking and rugby playing brother Danie is doing the wine tastings at Thi Art Restaurant. The Viswater Mountain Bike Route is a circular route of approximately 30 km that starts at Doring Bay and meanders to Papendorp and back again. It spans a wide variety of surfaces and diverse vegetation. At certain places you will be as close as 50 m from the ocean where the cool sea breeze is very welcome on those warm summer days! At the start you will experience incredible single-track paths up to Papendorp and then you will take on an open gravel road back to Doring Bay, just as your legs are getting tired and the southern wind moves around. Afterwards you can enjoy an ice cold beer or local wine at the Jetty Restaurant. Wild camping just after Koekenaap - where the Hardeveld meet the ocean Where the Hardeveld meets the ocean is an expansive, wild and desolate coastline. The raw beauty of the landscapes attracts a particular kind of traveller who enjoys camping in the rough and the solitude of going off-road. It’s here that you’ll find soul-replenishing hideaways like Brand-se-Baai and Skaapvlei among the many remote bays and inlets. Maskam Brewing beer tastings & mtb route The Botha family creates craft beer on their family farm. MBC is characterized by integrity, quality ingredients, flavour and brewing technique. Taste beers while enjoying wood fired pizzas. The mountain bike track is more or less 9 km. It takes you over and through sandy & rocky terrain.